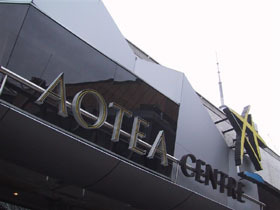 Aotea NZI Convention Centre consists of a lower level of over 900 square metres and an upper level of over 500 square metres, both spaces are a addition to the Aotea Centre. The Lower NZI is ideal for capacity of up to 900 people cocktail style and the Upper NZI is ideal for capacity of up to 450 people cocktail style. The NZI Convention Centre had at the time, the most complicated and comprehensive hearing loop design in Australasia, enabling adjacent rooms to have different program sources. ComSec were the successful tenderer for the Audio Visual installation in the joint construction of the new NZI Convention Centre. ComSec was selected based on previous work on similar venues and recommendations from the AV designer (Point of View Australia). ComSec’s tender was comprehensively and fully engineered, ensuring no hidden surprises, accurate pricing and identification of possible cost savings for the client at the outset. With a shade over 43 kilometres of cable, in excess of 700 BNC connectors, just under 1000 RJ45s, and over 500 XLR connectors attention to detail, auditing, and labelling was paramount. ComSec ensured step by step testing to minimise the possibility of rework being required. ComSec was flexible with its working times as the project timeframe was tight, and ComSec was able to maximise efficiency by working beyond standard working hours. The contract was completed on time and within budget. Comprehensive manuals and a high standard of operator training were provided.